Zehn Masters Week 3 is complete, and we wrapped the weekend with the Alienware Sprint Vector VR Cup event that saw over $600 in prizes given away. Read on for all the details. Daygan Hughes was the winner Friday night at the NBA2K18 event. Daygan is a local Roman and employee at Marco's Pizza just up the street, the same Marco's that's been fueling our lock-ins every Saturday. Daygan has been playing NBA games for 10 years and was cheered on by brothers Ryan and Dylan. Daygan will receive a Rome Revolution eSports jersey and advances to the national event December 29th for a shot at a $500 prize pool. If you missed the event there is another chance to qualify on Friday January 5th at 7 PM. 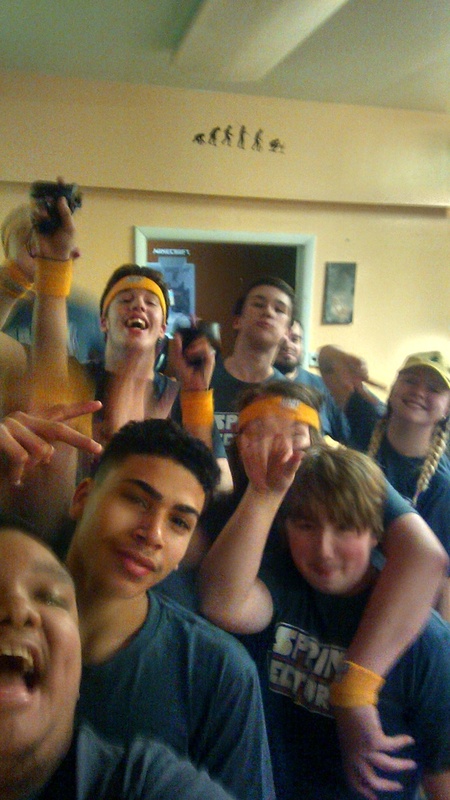 This was our first event to sell out and featured four local teams battling it out. The Call of Duty competitive scene in CNY is surprisingly strong, and most of the players have been to one or more of our tournaments in the past. 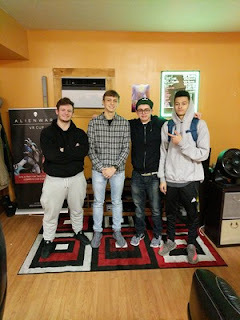 Grand Finals saw Team All Hail Balthazar vs PS4 Kids, with All Hail Balthazar winning the best of 5 with a score of 3-1. The team consists of Sean "Zealot" Knapp, Griffin "Grof" Parker", Travis "TrybaL" Lawyer and Isaiah "Splash" Ravenel. They have all played the game for years but as a team formed just a week ago. They will all receive Rome Revolution eSports jerseys and advance to the $1500 national event on December 30th. Congratulations! 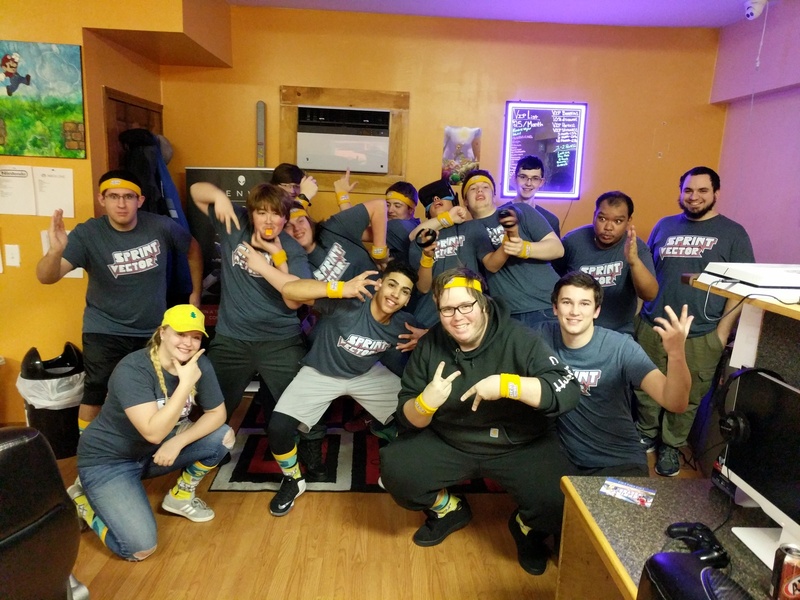 If you missed the event you'll have another chance to qualify on January 6th, and we'll be expanding the number of spots available to 8 teams and running two flights due to high interest. 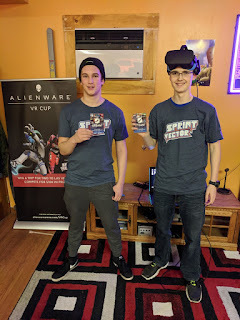 The weekend capped with a special event brought to you by some amazing sponsors in Alienware, Nvidia, Oculus & Survios, makers of Sprint Vector. This is a partnership deal made possible by the network of LANs across the US and saw 14 different centers receiving Alienware laptops and Oculus rift headsets pre-loaded with the new game Sprint Vector by Survios. Through the sponsors we also received Steam gift cards, t-shirts, beanies, water bottles and more swag for giveaway. 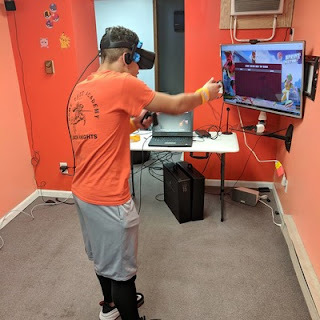 In total $600 in prizes were given away, and dozens of people were able to experience VR (some for the first time) on the Alienware-powered Oculus rift throughout the weeklong showcase. Sunday's tournament saw 19 participants, and we gave everyone multiple runs to try to post their best times, gradually weeding down to our top 4 and finally top 2 participants. In the end Nathan Norman and Alex Abdou went head to head in a final set of 3 to try to post their best times, with Nathan ultimately scoring the best time for the day. 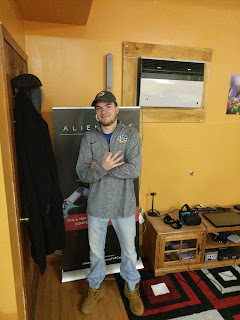 Nathan's time will be submitted into a pool of the 14 best times nationally with the top 8 being selected for an all expenses paid trip to Las Vegas in January to compete in the Alienware VR Cup during CES. We're hoping Nathan's time came in the top range and if so will be cheering him on in January! Nathan will also receive a Rome Revolution eSports jersey for winning the event. This Friday will feature Tekken 7 at 7 PM, a shot at earning a Rome Revolution jersey and advancing to a national. Friday will also see Jeremy "Ladon" Lince heading into the national MvCI event to compete against others from across the US. Saturday will not feature any LAN events but the winners of the Overwatch Team 315 will face off in their WAN event for a $2,000 prize pool. The weekend wraps Sunday with a CS:Go LAN in our shop - 2 spots left! We'll also have Dickie and Twitch entering the Rocket League WAN event for a $500 prize pool. 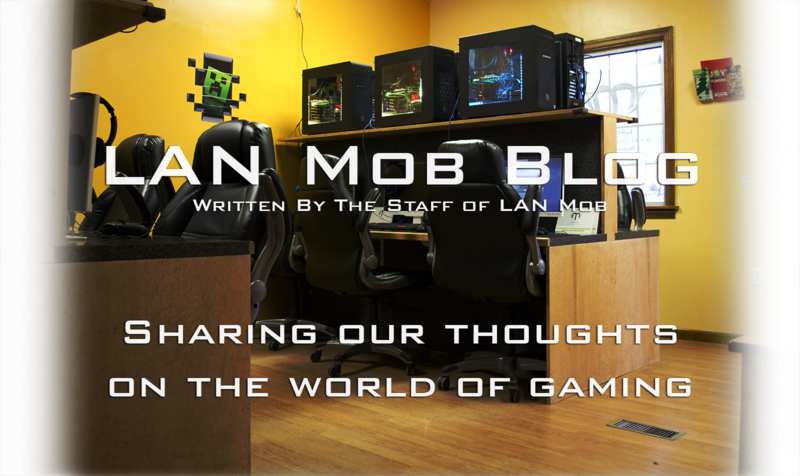 We're going to stream as much as we can this weekend, with emphasis on the national events, tune in at twitch.tv/lanmob to catch all the action. Games to Look Forward to in January!